Fabasoft Folio ensures secure management of digital documents. The use of Fabasoft Folio always requires the personal authentication of the user and the communication between the client and Fabasoft Folio is always encrypted via https, even for the use via smartphones and tablets. Fabasoft Folio’s access rights concept ensures that security guidelines – for example for personal documents – are adhered to. Fabasoft Folio provides different types of secure authentication such as Kerberos (Microsoft Active Direcotry), LDAP (Lightweight Directory Access Protocol), SAML 2.0, OAuth 2.0 and further custom solutions for single sign on. Fabasoft Folio is one of the leading software platforms in terms of compliance, security, transparency, extensibility, and integrability, supporting the entire content life cycle. With its integrated workflow engine, Fabasoft Folio covers all your business process management needs. For cross-application knowledge management and semantic search requests, Fabasoft Folio can be complemented by Mindbreeze InSpire. Fabasoft Folio offers functions and solutions for the secure, organized and consistent archiving of business-relevant e-mails and their attachments. 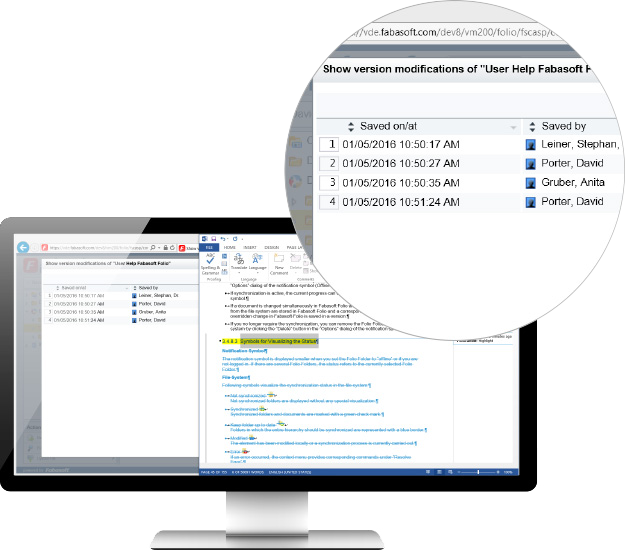 Whether server- or client-side archiving, Fabasoft Folio supports companies and users with e-mail archiving and leads to efficiency in e-mail management. Furthermore, the single instance content repository saves on storage space. The Fabasoft reference architecture stands for availability and scalability, no matter if your Fabasoft Folio Domain supports a hundred users or a hundred thousand users. Fabasoft Folio supports both Microsoft Windows and Linux platforms along with an open source application software stack. Moreover apps for iPad, iPhone and Android enable limitless "Mobile Collaboration" on the device of your choice. As the resilient content backbone for vertical business applications created with the Fabasoft app.ducx development platform, Fabasoft Folio allows for a significant reduction in time to value when implementing and integrating vertical business applications, enterprise portals, and e-services with Fabasoft app.ducx. 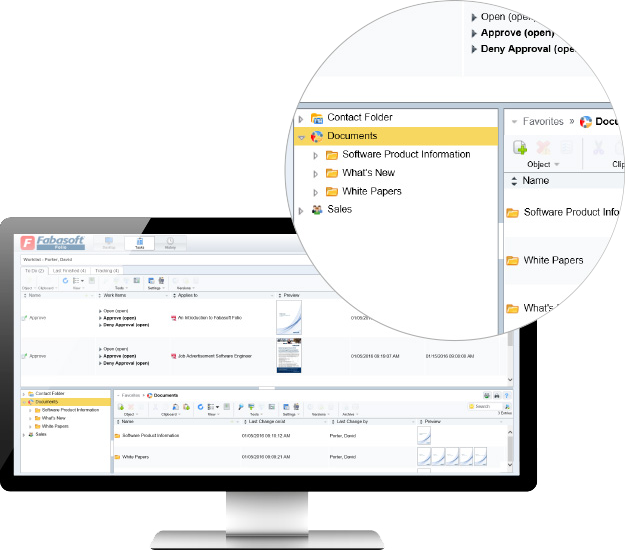 In addition, data from applications such as SAP, SharePoint and many others can be easily integrated into Fabasoft Folio. Fabasoft Folio provides Apps for iPad and iPhone as well as for Android smartphones and tablets. 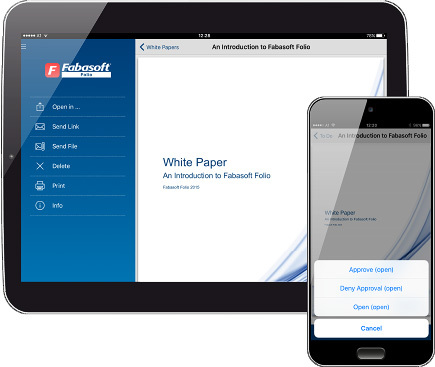 The Fabasoft Folio App enables access to your documents and data in Fabasoft Folio. It makes it possible to work together with your colleagues and external business partners when you’re on the move. Using the Fabasoft Folio App you can access documents online, read, open and edit documents, make documents available offline and add comments to documents. With the Fabasoft Worklist App you can easily carry out your workflow activities of Fabasoft Folio directly on your tablet or smartphone. Moreover, Fabasoft Folio’s complete functionality can be accessed via mobile web browsers for tablets. Versioning is a key concept provided by Fabasoft Folio for transparency and traceability of changes on business objects and other documents. Versions allow you to read an object’s properties in a former state as well as to restore a former state of the object. Fabasoft Folio provides convenient change tracking features that let you track changes made to an object’s properties and contents between different versions. Fabasoft Folio allows you to define a specific version of an object as its so-called release version. This feature allows authorized users to work on the current version of an object while users who may only read the properties of the object are only granted access to the consolidated release version. Fabasoft Folio supports precise and extensive auditing for business documents. Every time an object is accessed, the auditing function creates an entry in its logging system. Besides changes to the properties it also indicates when an object was read, and by whom. Fabasoft Folio allows you to define and reuse templates for simplifying recurring tasks and day-to-day work. Any kind of object, in particular content such as Microsoft Word Document and Microsoft Excel Worksheet, can be used as a template. Fabasoft Folio includes comprehensive reporting capabilities to allow you to create, format and process rich reports, and export data stored in Fabasoft Folio to external data sources. 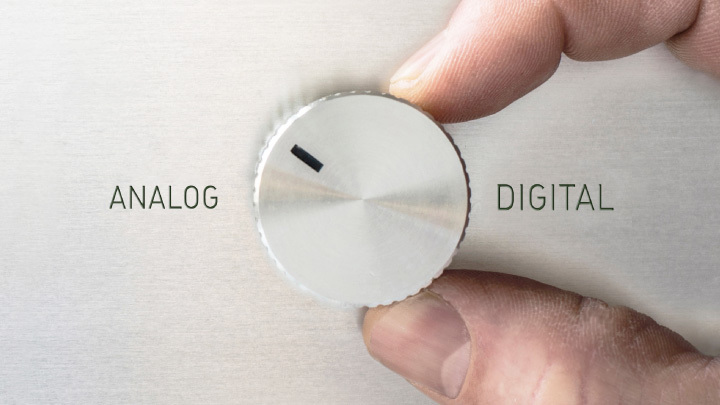 The digital asset management allows you to convert your image, video and audio files into different formats. Your multimedia files are thus always available in the format you need. 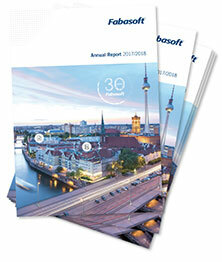 Fabasoft Folio is available in over twenty languages, and provides extensive localization support. Fabasoft Folio is accessible and usable for people with disabilities. Fabasoft Folio’s accessibility features support both users with blindness and low vision as well as those unable to use a mouse device due to motor disability.